This shop has been compensated by Collective Bias, Inc. and its advertiser. All opinions here are mine. 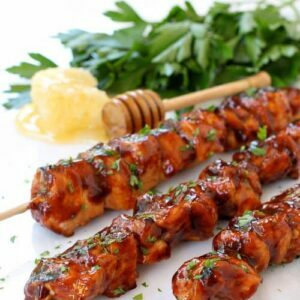 These simple, easy and totally delicious Honey BBQ Chicken Kabobs will have your family wanting more! 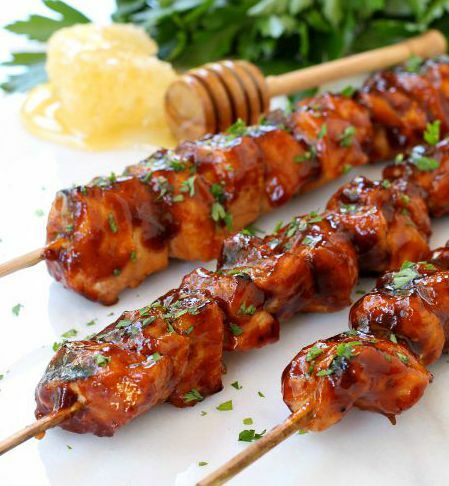 Simple barbecued chicken in a sweet and sticky sauce! There’s something about food on a stick, right? It makes dinner more fun, feel more like a party or just a fun night. 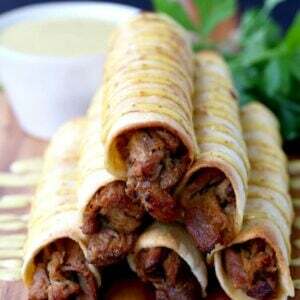 But there’s also something else about kabobs…they totally make food taste better. The marinade for these chicken kabobs is just a few basic but flavorful ingredients. BBQ sauce, honey, soy sauce, a few seasonings and chicken broth. Get your chicken cubed up and into a plastic bag or a baking dish. Pour the marinade all over and let it sit in the refrigerator for at least 4 hours. Overnight is always good, but at least a few hours to get the best flavor. 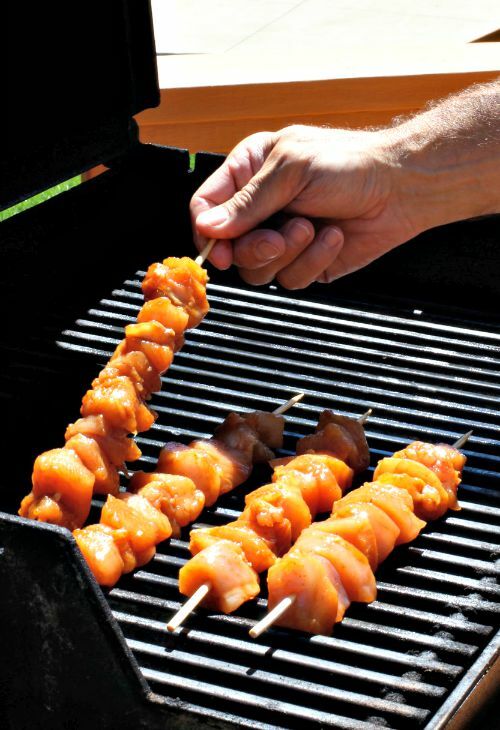 Then you can put the chicken onto your skewers and get your grill ready. 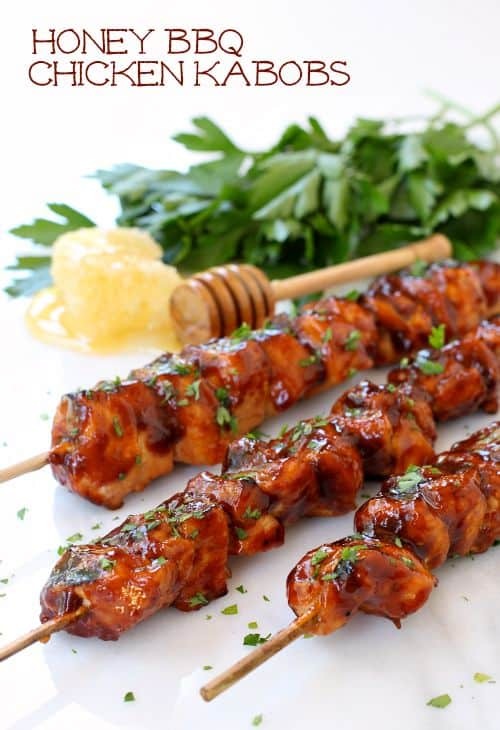 What you have to be careful about with these Honey BBQ Chicken Kabobs is that the honey and BBQ sauce can burn on the grill so you want to grill these low and slow. While the chicken is grilling, pour the marinade into a pot and set it over medium heat on your stove. 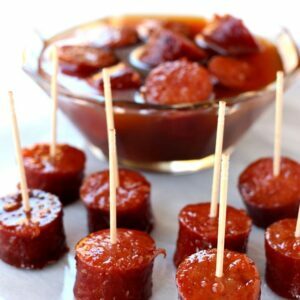 You need to boil the marinade for at least 15 minutes…no food police arresting me…but at least 15 minutes of a hard simmer, then you can turn it down to low until your ready. Brush the sauce all over the kabobs and get ready for the best chicken dinner ever! 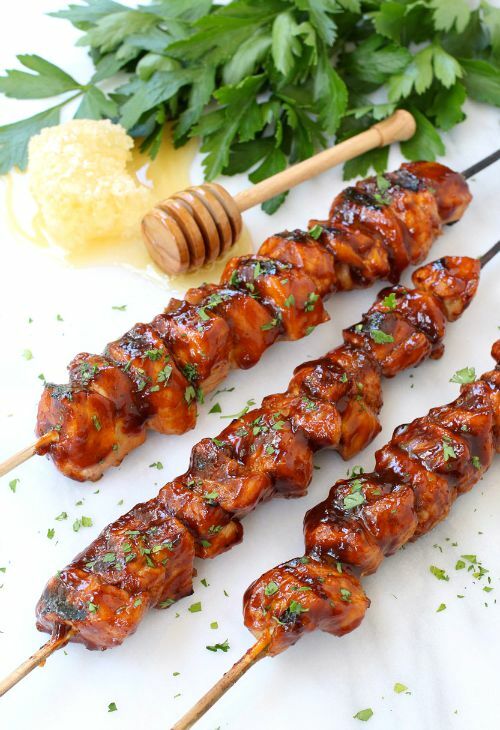 These sweet and sticky Chicken Kabobs are a healthy and delicious dinner for the whole family! Cut the chicken into bite sized pieces and set aside. 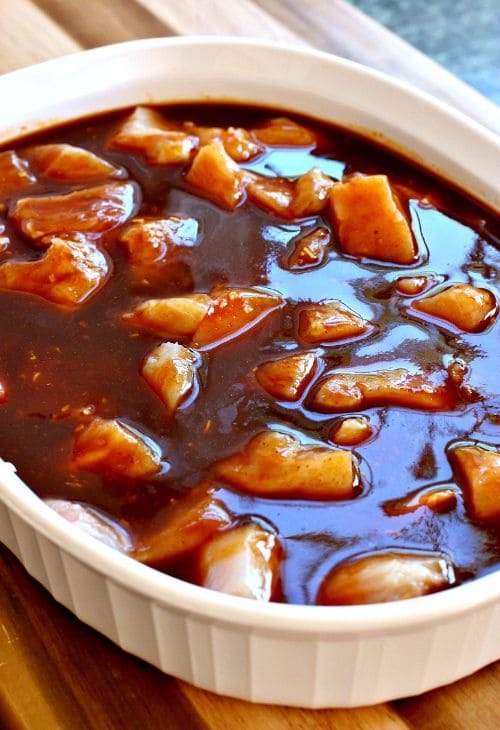 Mix all the ingredients for the marinade in a glass baking dish and then add the cubed chicken, tossing to coat. Cover with plastic wrap and let marinade in the refrigerator for 4 hours or up to overnight. Heat your grill to a medium-low heat, I had mine between 325º and 350º. Place the chicken pieces on skewers, as many as will fit on a stick. Lightly oil your grill so the kabobs don’t stick and grill for 20 minutes, turning often as they cook so the marinade doesn’t burn. While the kabobs are on the grill pour the marinade into a saucepan and bring to a boil. Turn it down to a hard simmer and let cook for 15 minutes. 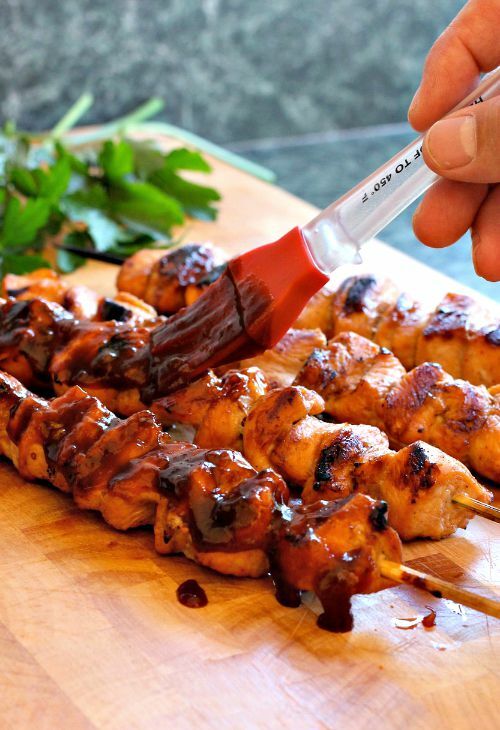 When the chicken is done, remove the kabobs to a board and brush on the sauce. 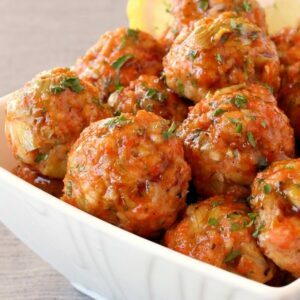 Check out the Swanson® website for more great recipes using Swanson chicken broth! You can also enter the #SwansonSummer Sweepstakes for you chance to win a great prize! Head over to vote for your favorite recipe!